I love my country and I love my Island, Roatan is a very unique place filled with many wonderful people. People from all over the world come here to call this place home, or to get a view of the beauty that is found here. I have seen some of the recent reporting on animal cruelty here and in the rest of this country,Honduras, that I call home. In case you missed it. First, a YouTube video was all over the internet of a group of guys tying explosives on a dog and blowing him up alive while they laugh and enjoyed the spectacle, one of the guys involved was a member of the local police force. There was an immediate outcry and congress moved quickly to pass and animal cruelty law, Yes there was none on the books believe it or not. Then last week pictures showed up on Facebook and quickly made their way around the internet. First, of a family whose dog had been brutally butchered by a church leader, on the family property while the family watched and begged him to stop, included a ten year old girl. 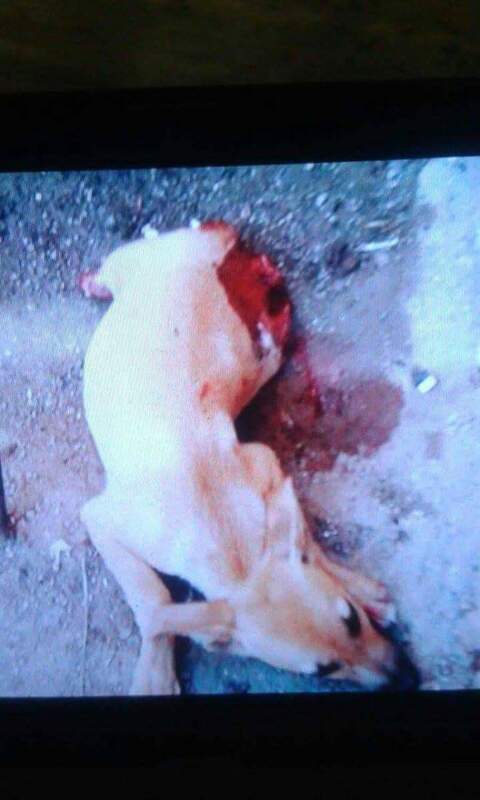 Second, of a drunk that had cut off two of a dog’s legs thus causing the animal a very slow and painful death. 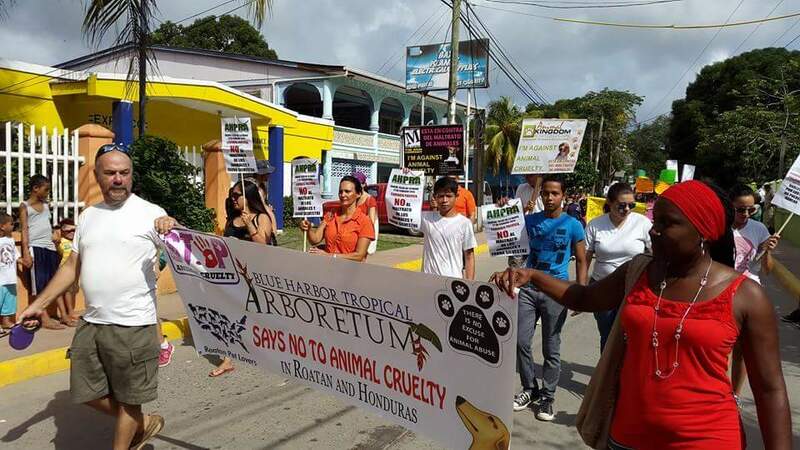 The island community responded with indignation, marches were organized and charges were filed. 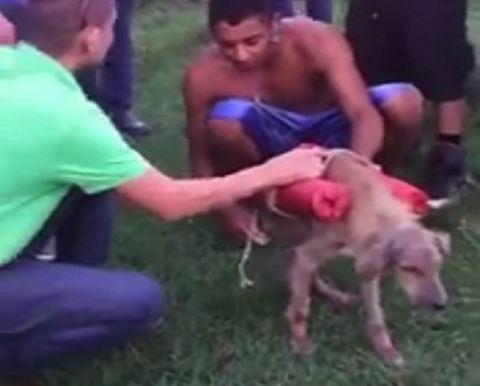 What you’ve got to understand about one of the most violent countries in the world is that, while these were extreme events and drew attention because of the social media attention, animal cruelty in Honduras is common. While the Islands are an exception to the rest of the country in many regards, in this it is not. Growing up none of these statements or actions bothered me, Because they were “normal” and that is the problem. 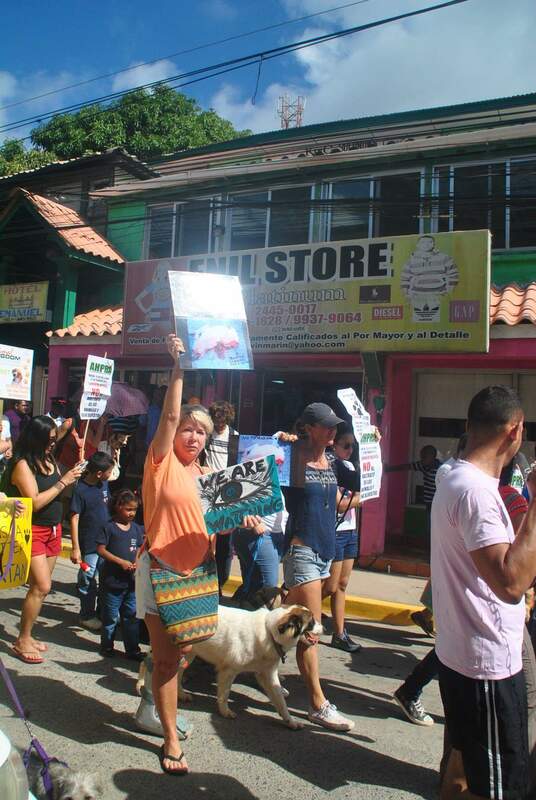 See in Honduras cruelty and violence is “normal.” While I have always been outraged and impulsed to act and speak up against cruelty to other human beings, cruelty to animals just didn’t matter much to me. I am proud to say that is no longer the case. Just yesterday I was talking to a friend that is also from Roatan( he is studying microbiology here in Tegus), about the events back home. He said and I quote ” We have so much problems in this country, why are people wasting time and resources on this? What does a stupid dog matter? animals don’t even have feelings.” I tried to explain to him that it does matter, that animals do have feelings! But I kept thinking he is right on one thing, we do have many problems in this country. Is this a good use of our time and our resources? But see here is the problem violence begets violence, and by far the biggest problem we have in this country is the high level of violence and the great disregard for life. I tried to explain to my friend that even if you do not care for animals the way some people do, violence and cruelty cannot be tolerated and it has to stop. This is what is eating at the core of this country and is not permitting us to reach our potential. You and I have a moral obligation to do something about it. Then I started thinking about some of the people involved here. One of the loudest voices on this and organizer of some of the response has been Tricia Rolston Power. Tricia has been a fierce advocate for my education, without her it would be impossible for me to raise money to keep going to medical school. 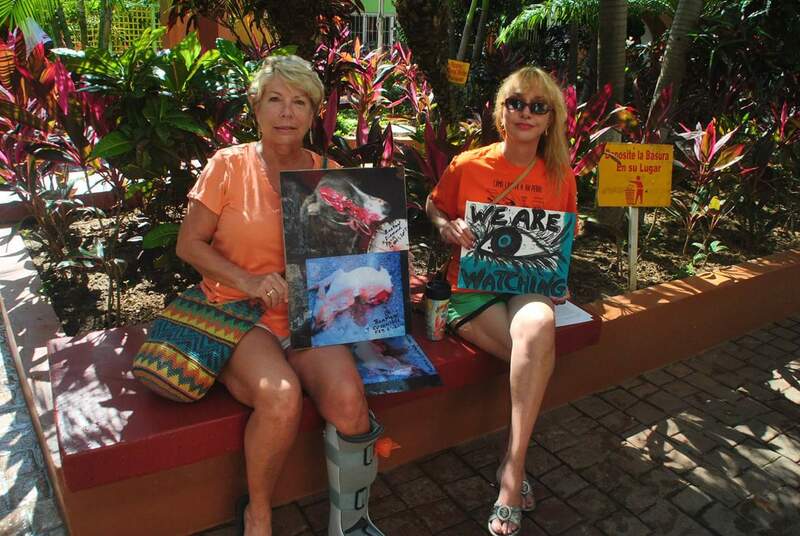 Tricia recently suffered a leg injury and she was out at the March. YES SHE DOES NEED TO STAY OF OFF THAT LEG, but we’ll forgive her for this one. Tricia cares about lives and Roatan. 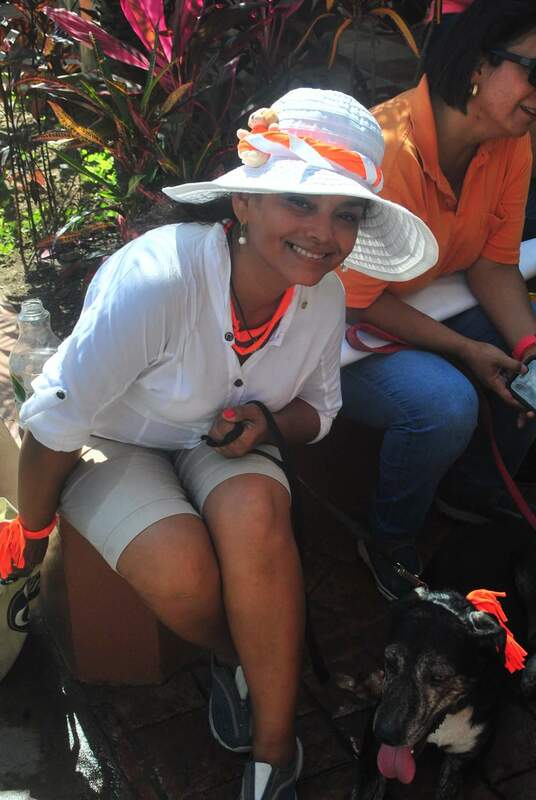 Nidia Webster a local Islander has been a strong advocate for poor people on the Island, she works very hard to make sure, going town to town, that people have a meal to eat, or kids have somewhere to sit at school with Roatan Because we care. 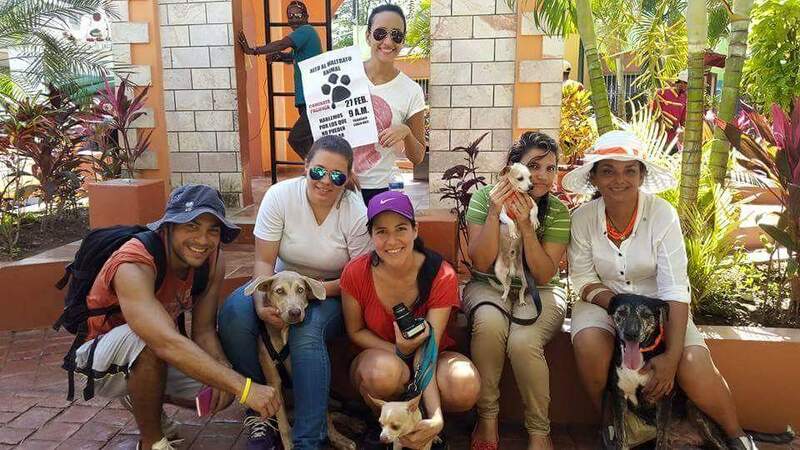 Nidia cares about lives and Roatan. Edda Borjas one of my favorite people, Edda is a member of the local rotary club giving of her time and efforts to help the needy. She has done amazing work with the island clean up effort for example. 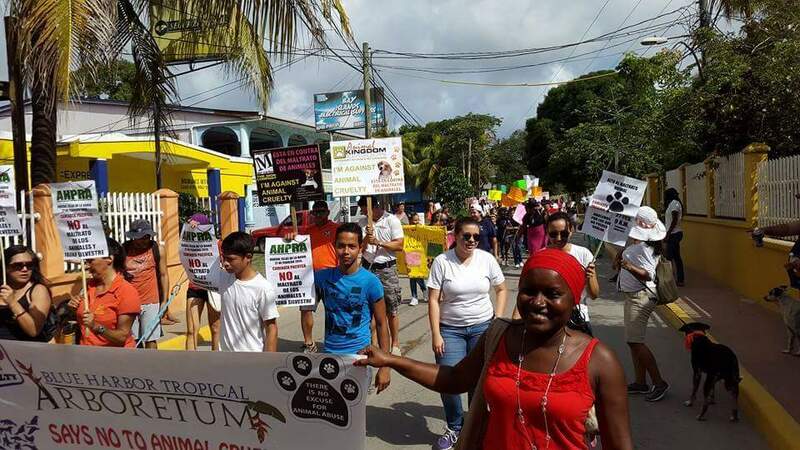 Edda organized this march, Edda cares about lives and Roatan. These are people who understand the problems and they are working hard to help solve them. They do the things I have mentioned here and so much more. I am proud to see them and so many other people take a stand on these issues in my community. These are people who are speaking up for the voiceless, or the weak, for those that the rest of us might not care about so much, and that includes the animals. Whether you are an animal lover or not, it is time for us to stand together and say cruelty and violence in any form is just not acceptable. This does matter because this is the only way things will ever change. I ,for one, am anxious to finish my education and head back home to the island to assist and become a part of efforts like these in my community.